There is lots to see and do in Hemavan Tärnaby during the summer and autumn. 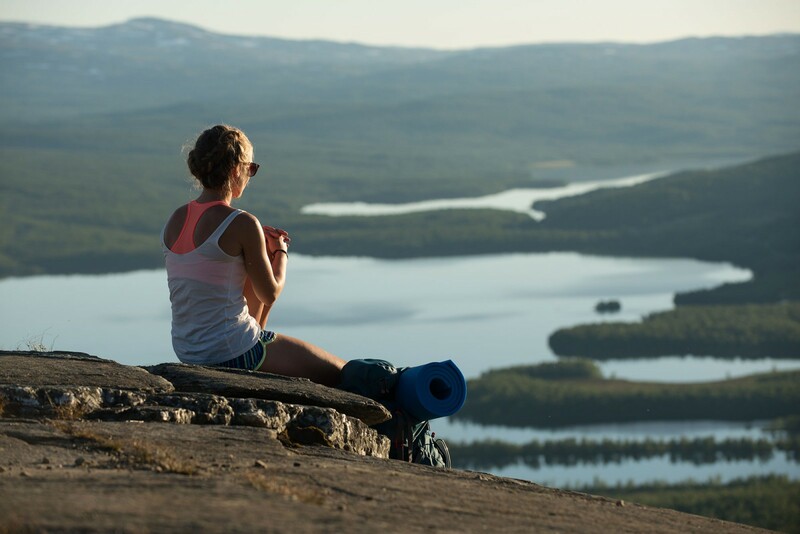 Wind down with a spot of relaxing fly fishing or why not embark on a wonderful hike to soak in the majestic Swedish mountain landscape. You could also gather the family for an entertaining get together during the biggest event of the summer, the annual Border Market in Tärnaby. Hemavan Tärnaby certainly has something for everyone, whether you’re into 24 hour terrain racing, pleasant cycling or evening picnics under the midnight sun. Welcome to Hemavan Tärnaby and a summer of discovery! The most famous hiking trail in Sweden is the Kungsleden and one of its renowned landscapes is the mighty Syterskalet pass. But there are many more interesting hiking trails in and around Hemavan Tärnaby with destinations that suit hikers of all ages. We have put together a list of our favourites. There are many summits in Hemavan Tärnaby that make excellent destinations. Climb four summits during the summer and take part in a lottery where you could win weekend holiday or an evening meal in one of the local restaurants. There are plenty of fishing waters to suit all tastes, from easily accessible spots for the whole family to more advanced stretches for the experienced angler. During summer you can chose from fast flowing streams and rivers to mountain lakes well stocked with trout and arctic char. There are also several guided tour companies who offer exclusive fishing in some of the best waters. Maybe you have already found your favourite holiday cabin, or there is an apartment that you’ve always wanted to try but it’s never been available. Well, take the chance to book your winter holiday now when there is a wide range of available accommodation. During the Fishing festival, there is extra focus on all things fishy in Hemavan Tärnaby. Get together, put another log….